Editor's Note: From time to time, we invite guests to post about items of interest. We're pleased to have James Keeffe, III -- author of the award-winning Two Gold Coins and a Prayer: The Epic Journey of a World War II Bomber Pilot and POW -- tell us an amazing story about how Google Books helped reunite a Holocaust survivor and a World War II veteran. 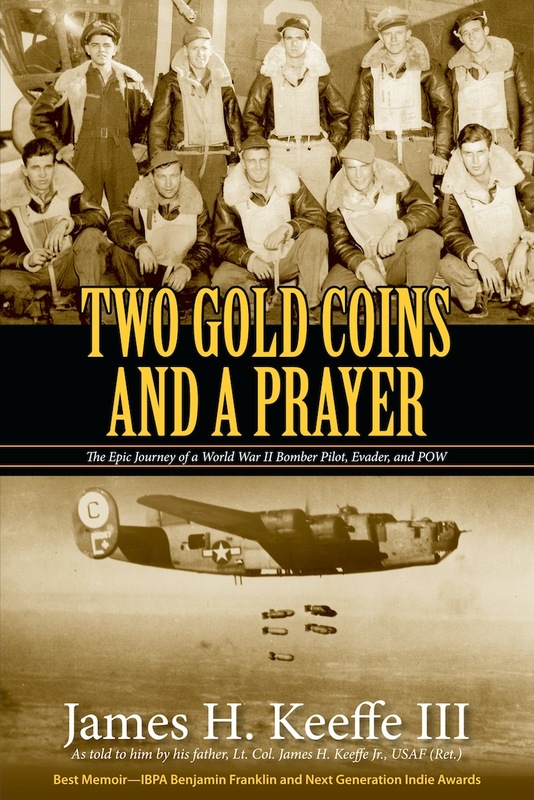 Last year, my distributor Epicenter Press uploaded my book, Two Gold Coins and a Prayer: The Epic Journey of a World War II Bomber Pilot and POW, to Google Books. The book is a memoir of the WWII experiences of my father, James H. Keeffe, Jr., as told to me. 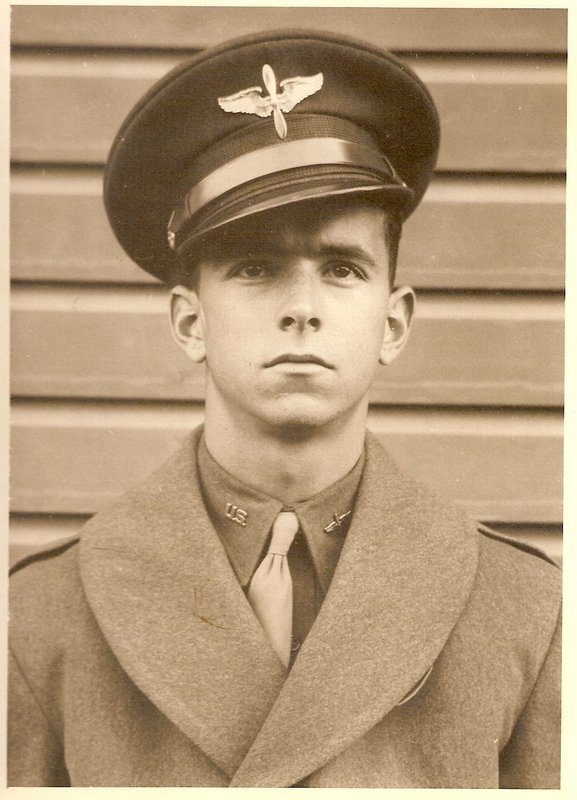 He was an American B-24 bomber pilot who, on his fourth mission during the war, was shot down over Southern Holland and taken in by the Dutch Underground. He spent the next five months evading capture by staying in several safe houses in Rotterdam. In one of the homes, owned by a Dr. Jappe-Alberts, a Jewish family—father, mother and eight-year-old daughter—hid up in the attic. I've found this book a few day ago at the internet. 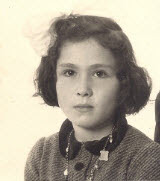 I am the little girl from the Cohen family who was hidden together with Jim at the Jappe-Alberts family. I was 8 years old. I've read a part of the book already on the net and my son in the USA ordered it. It's unbelievable to find all this after so many years... We are now living in Israel since 1978. I would like to leave a note with these information for the writer and his father as a sign of life. Can you give me an email-address? Forwarding is another possibility! Imagine my surprise! All my dad knew about the Cohens at this point was that they had eventually been captured by the Nazis, who also shot Dr. Jappe-Alberts and sent his family to prison. Helen, my father and I began emailing each other quite often. Helen, now 76 years old, told us that after all these decades, it had been time for her to come to grips with her memories of the war. Her daughter suggested that she search for the name "Jappe-Alberts” and the place "Rotterdam" on Google. Two results of import came up. The first was a memorial to 10 men shot by the Nazis on a country road south of Rotterdam, including Dr. Jappe-Alberts. The second was the portion of my book on Google Books that had the name Jappe-Alberts in it. Helen began to read that part of the book and, lo and behold, realized she was reading about herself as a young girl and her family. She told us that, though her family had been sent to Westerbork, a transit/concentration camp in North Holland, after being captured, they survived the war. The rail system in the Netherlands by that time was so damaged that the Nazis could not move any more people from transit camps like Westerbork to the death camps of Germany and Poland. Westerbork—along with the Cohens—was eventually liberated by the Canadians. Six months after Helen's email to me, after much planning, Helen flew to Seattle and was reunited with my father on September 13, 2011. Sixty-seven years had passed since last they saw each other. It was a very moving experience—all possible because of Google Books. 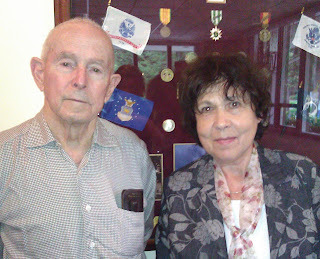 I was greatly honored to have been able to bring my father and Helen together again. Helen said the reunion was a "closing of a circle" and a healing time for her as she was finally able to talk about some of the events she had endured. For my father, the reunion was a joyful occasion. Meeting Helen allowed him to fill in some gaps, and find out the details of her family's capture and imprisonment. He was very happy to see Helen and quite sad when it was time to say goodbye. At their reunion, I kept looking at them both, now in their later years, trying unsuccessfully to imagine what it must have been like when they were young and living under the fist of the Nazi occupation. Always the threat of instant and often cruel death weighed heavily on them, yet they both survived—and 67 years later were standing side by side, telling each other, and us, their stories.